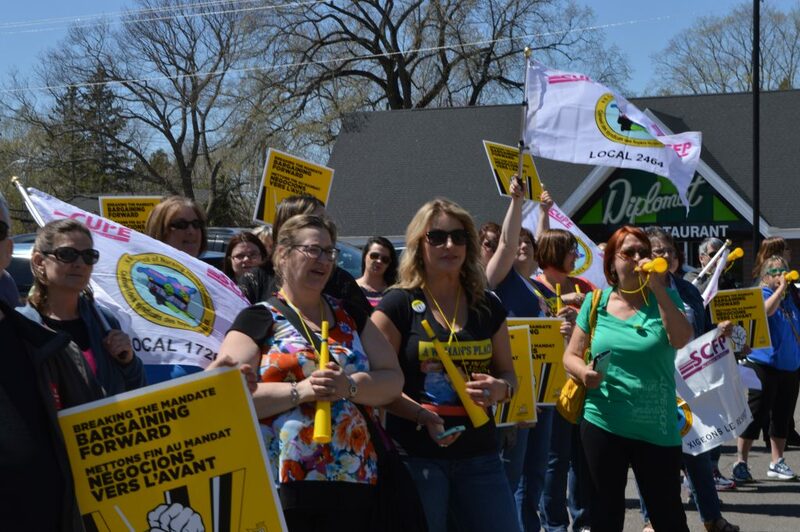 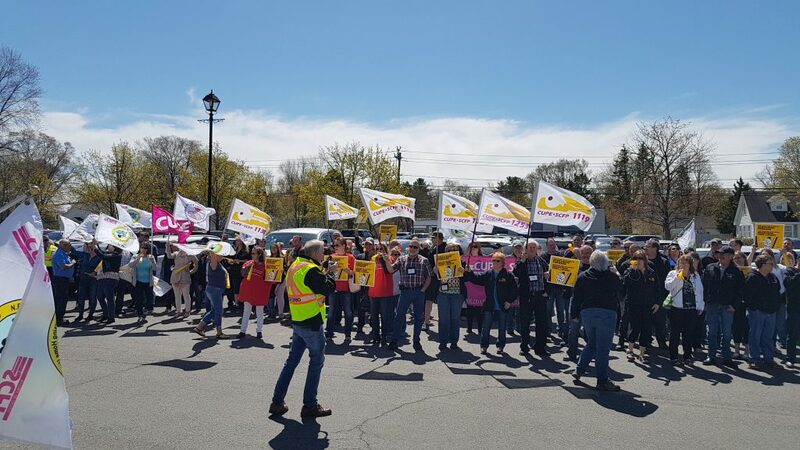 This Thursday, May 10, more than 200 CUPE members protested in front of the Delta Hotel in downtown Fredericton where the New Brunswick Association of Nursing Homes (NBANH) were holding their Annual General Meeting. 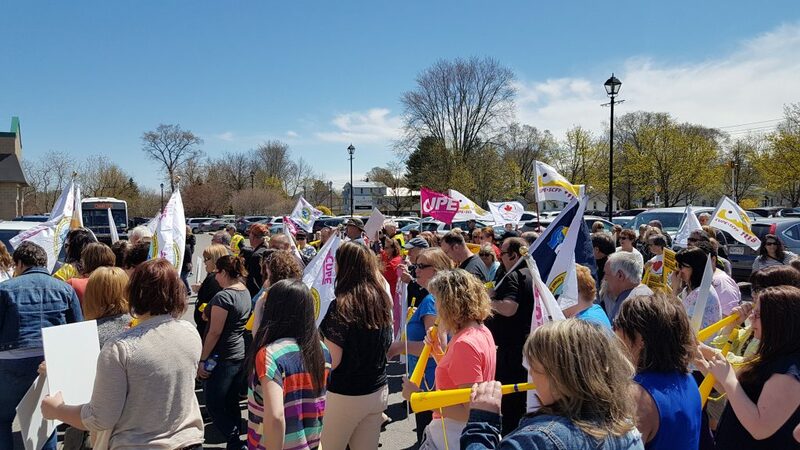 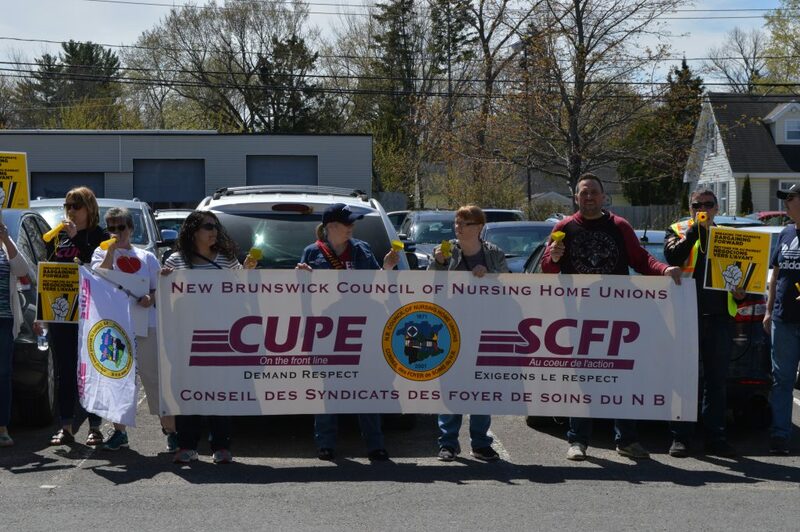 The Council of New Brunswick Council of Nursing Home Unions (NBCNHU), which represents more than 4000 CUPE members across New Brunswick, is protesting the inflexibility of the NBANH and is asking them to withdraw their demands for concessions in the collective agreement negociations. 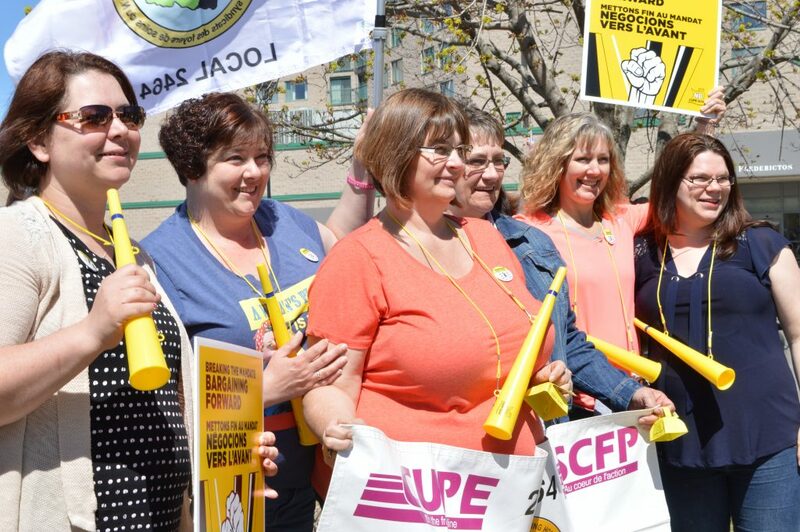 “The employer insists on concessions and for us there, is no question of negotiating backwards. 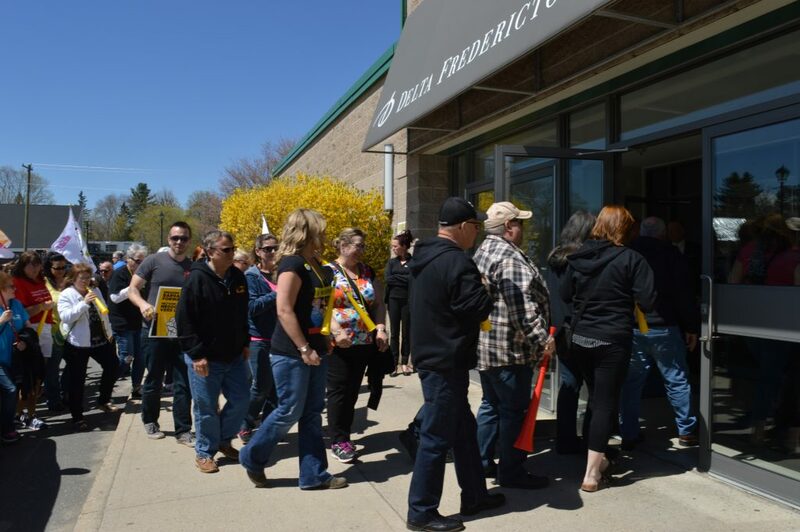 As long as they do not remove these concessions, we will continue to increase the pressure,” said Wayne Brown, president of the NBCNHU. 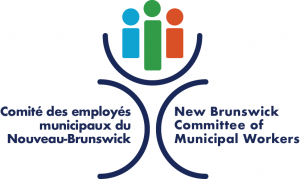 The conciliation is scheduled for the end of the month. 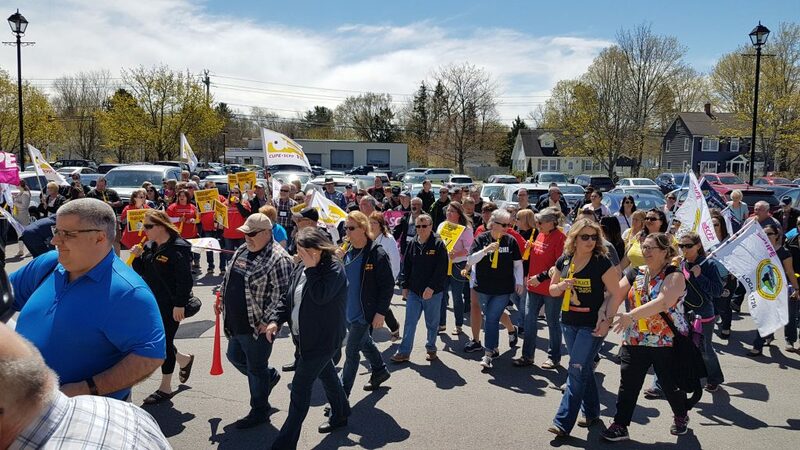 Despite NBCNHU’s April 26 demonstration, the employer’s refusal to move forward with the negotiations is a concern to union members that conciliation will not be of much use. 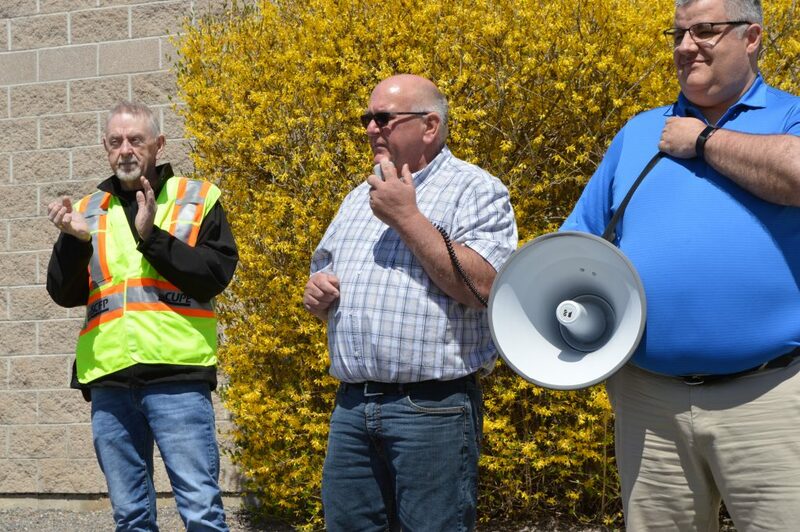 “We hope that after this second mobilization, the employers will hear the workers. 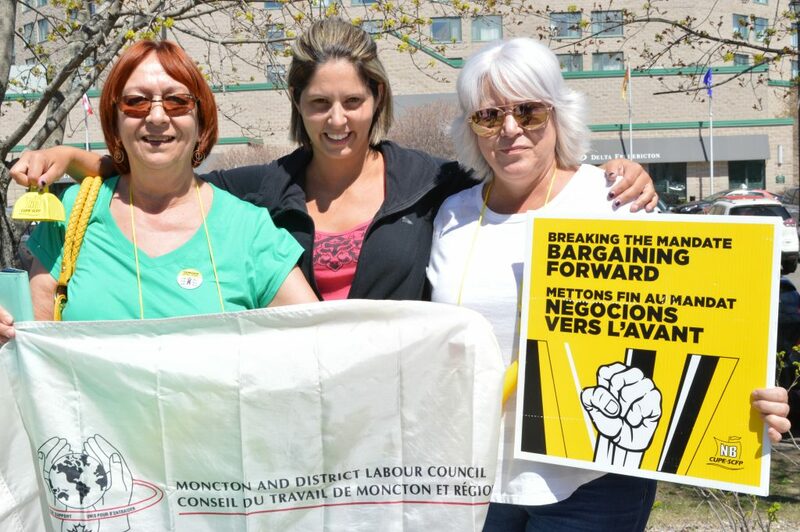 Negotiations can move forward if they withdraw their demands for concessions. 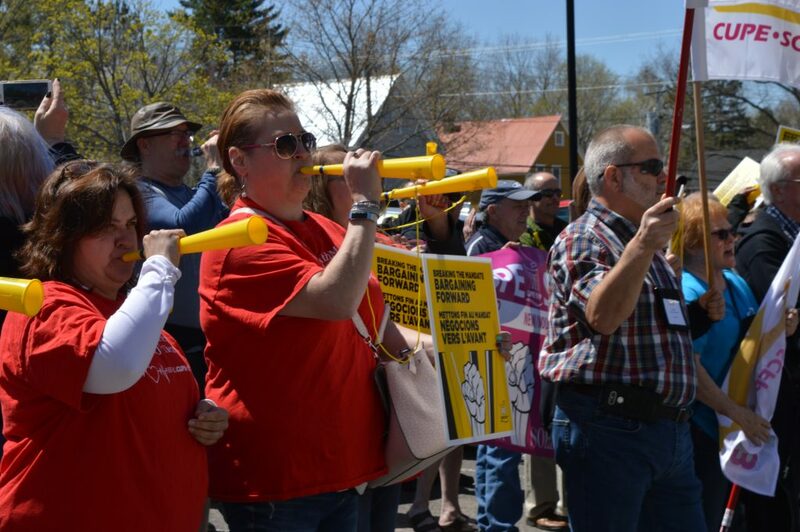 If they don’t want to hear anything, they’re forcing us to strike,” says Wayne Brown, president of NBCNHU.